Then, I saw the light. Someone in a group thread on a book social site mentioned that they had heard Ian McEwan read an excerpt from On Chesil Beach out loud with comic flair! And that the audience was not only enthralled, but laughing along with him! Hmmm, perhaps if I hadn’t dismissed my own sense of humour and replaced it with self-righteous literary pretensions, I might have enjoyed On Chesil Beach, and come to think of it, Saturday more than I had. With that in mind, I picked up Solar which I had heard was supposed to be pretty funny. Admittedly, I had also heard that this was not McEwan’s best and, as a validation of that opinion, it was not nominated for a ManBooker award. So it kind of figures, considering the high rate of ironic incidences in my life, that the McEwan that no one seems to like is the one that I absolutely adore! The story features Michael Beard, a Nobel laureate who, when we meet him in his early fifties, is wallowing around in the collapse of his fifth marriage, a deteriorating body, and work in physics that is neither intellectually stimulating nor rewarding. The whole of Solar takes place over the course of about ten years (1999-2009) in which we watch Michael Beard muck his way around and through relationships, work and his health, always holding onto the promise of the next chapter in his life. It would be very easy to attach a lot of symbolic import to various artifices in the novel; but after listening to the interview of the author with his editor, you realize that, in doing so, you would be projecting too much into the novel. It is what it is and; what it is is a very honest portrayal of a man with all the absurdist elements that that may imply. 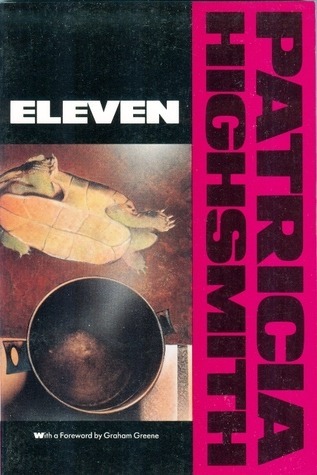 Perhaps those who don’t like this novel don’t want to acknowledge that Michael Beard is very much an Everyman and, by default themselves; but I found common cause with the character for being flawed. Rather than finding Michael Beard an unlikable character, I was morbidly fascinated with his ability to have gotten as far as he had. I often found myself cheering for Michael even while admitting that he brought on most of his problems himself. I loved Solar and I can’t wait to read McEwan’s next novel! 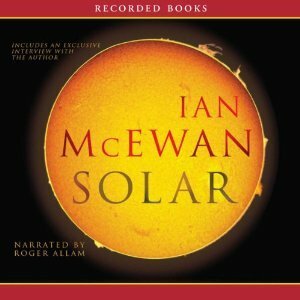 OTHER: I borrowed a MP3-CD edition of Solar (by Ian McEwan; narrated by Roger Allam) from the Jackson County LIbrary System (Southern Oregon.) I receive no monies, goods or services in exchange for reviewing the product and/or mentioning any of the persons or companies that are or may be implied in this post.